State Representative Avery Bourne (R-Raymond) joined her fellow members of the General Assembly as they gathered in the House Chambers for Governor Bruce Rauner’s annual State of the State Address. The Governor’s State of the State Address comes at the beginning of the historic 100th General Assembly and as the state continues to grapple with a budget impasse that has now extended 18 months. “I appreciated the Governor’s tone of bipartisanship. Respecting our differences and working together is the only way we are going to be able to move Illinois forward. Like the Governor, I am encouraged by the recent discussions from the Senate on a budget proposal. While the Senate proposal is not perfect, and details are still being hammered out, this bipartisan cooperation is a step towards a fair and balanced budget,” said Representative Bourne. As a member of the School Funding Reform Commission, Representative Bourne also noted the accomplishments that were mentioned in the State of the State, “Our state is facing major challenges. However, I am glad that the Governor pointed out some of our strengths and victories over the past two years including record-level investments in education.” Bourne added, “The Governor spoke about a future Illinois ‘where every child from every background gets the same, high-quality education’ and mentioned the Education Funding Reform Commission. There is a lot of optimism on his part, and mine, about moving our state toward a more equitable funding formula.” Bourne also applauded the fact that education has also seen a big boost with the ending proration and delivering $700 million more for our schools since taking office. Governor Rauner is scheduled to submit his budget plan to the General Assembly during his forthcoming Budget Address at the Capitol on February 15, 2017. 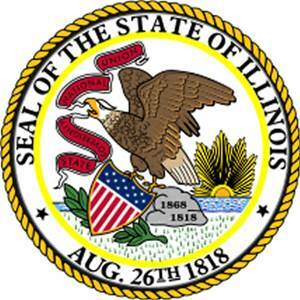 Illinoisans can see live coverage of this budget address on Representative Bourne’s website at www.repbourne.com. Information about upcoming events and Bourne’s legislative priorities for this session can be found there as well.